Two video games based on The Warriors have been released. The first, and more successful game, was developed by Rockstar Games (of GTA fame) in 2005 for the XBOX and PS2 which was designed as a 3D mission-based brawling game. This was later adapted for the PSP. The Warriors game is also available to download on the PS3 from the PlayStation Network. Click here to read our detailed review of the game with over 100 screenshots, or here for an extensive game preview featuring a myriad of video clips including trailers, gameplay clips and an interview with Rockstar Games. Finally, there are a large number of cheats listed here for those of you who are still enjoying the game over 10 years later! 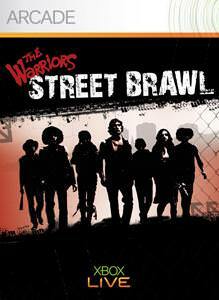 In 2009, The Warriors: Street Brawl, a download-only game developed by CTXN was released by Paramount Digital Entertainment. The game was only available for download through the Playstation Network and XBOX Live Arcade but has since been removed as it is believed that the license has expired. The game was similar to Streets of Rage in that it was a side-scrolling beat-em-up game, but with 3-D style graphics. In some ways, it is similar to the arcade mode in Rockstar’s game. The game did not receive very positive reviews when it was released with many review stating that the game is too simple and too boring. The graphics were also cited as being poor for (then) current-generation gaming. The Warriors: Street Brawl followed the Warriors as they battle their way home through enemy territory. 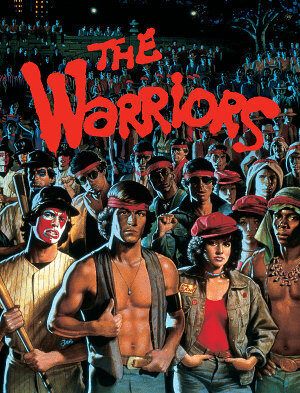 It doesn’t feature all the Warriors gang members and is not entirely true to the story of the movie. It was a simple beat-em-up with power-ups and collectible weapons. Unlike Rockstar’s game, it featured no missions.